Beauty and the Beast will be gracing the stage at the Grand Opera House York from Friday 15 December 2017 to Sunday 7 January 2018. After the monumental success of the record breaking Panto in 2016, Three Bears Productions are back to bring you the ever-popular Beauty and the Beast. Three Bears Productions Ltd is a new theatrical production company specialising in bringing the next generation of spectacular pantomimes to UK theatre. They have their own scenic workshops where they create the sets for all their productions, and their own in-house wardrobe department with over 5000 costumes. The star-studded cast is a fantastic ensemble of stage, screen and TV talent. 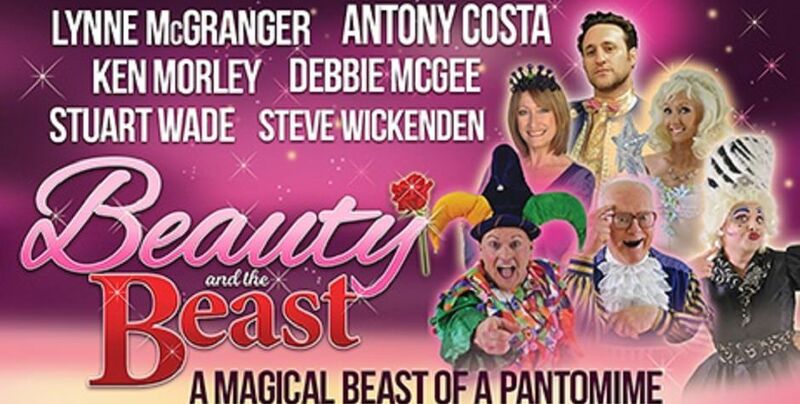 This year, audiences can look forward to seeing Antony Costa from iconic boy band Blue, Lynne McGranger from Home and Away and TV personalities Debbie McGee , Les Dawson and Audrey Leybourne. Joining them on stage will be Emmerdale’s Stuart Wade, stage star Charlotte Maclachlan and Britain’s classiest dame, Steve Wickenden. Beauty and the Beast at the Grand Opera House York is a ton of fun and the perfect way to start your Christmas celebrations. As you can imagine, this event is very popular and tickets are selling out fast. If you intend to visit the historic city of York, please plan ahead. Accommodation at this time of year is in high demand. B+B York is perfectly located with quick access routes to all the Christmas festivities. We have enough room for the whole family. Contact us today to arrange your booking. Telephone +44 (0) 1904 559 777 or email: info@bb-york.com. We hope to see you soon. This entry was posted in B+B York and tagged Beauty and the Beast on 11th December 2017.